As the one-year anniversary of Rob Stewart’s passing approaches, Fins Attached has announced they will be holding their Saving Our Sea from a Mile High event on January 27, 2018 in honor of the Sharkwater and Revolution filmmaker, to celebrate what Rob continues to mean to the world of shark conservation and all those who continue to fight for their survival. Rob’s parents, Brian and Sandy Stewart, will be attending the Denver event. Rob, was an award-winning director, conservationist, biologist, and activist for sharks, the oceans, and the planet, and the event will launch the Rob Stewart Ocean Conservation Award. Rob’s passing was a tragic time for family, friends, sharks and the world; he is truly missed every day. His work continues on in partners such as Fins Attached, and their unparalleled conservation initiative, the Sharkwater boat. Rob’s team continues to work on the film Rob was making when he met with tragedy — Sharkwater: Extinction. The highly anticipated film is scheduled to release later this year and will be followed by a Sharkwater 3D/VR experience. 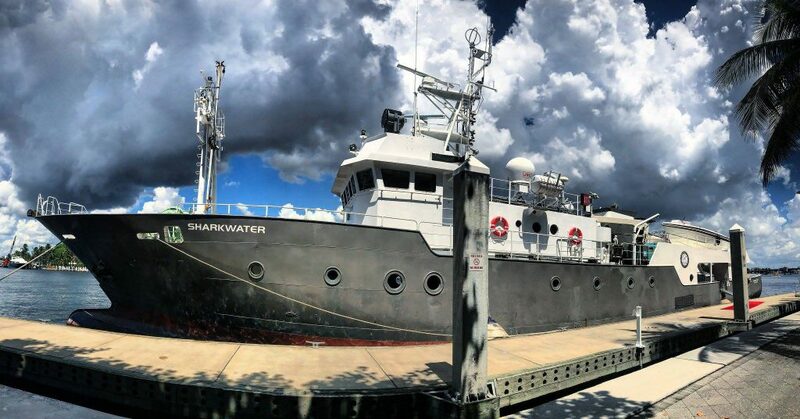 Watch for updates on all Rob’s projects at Sharkwater.com and http://www.therevolutionmovie.com – his work and mission continue through his family, friends and team! In addition to Sandy and Brian, famed marine wildlife conservation environmental activist and Greenpeace co-founder Paul Watson will be in attendance at the event. Rob worked closely with Paul and Sea Shepherd while filming the first Sharkwater. Watson left Greenpeace in 1977 to found the Sea Shepherd Conservation Society. In addition to leading Sea Shepherd campaigns, he has starred in seven seasons of Animal Planet’s television series Whale Wars. The event takes place on Saturday, January 27, 2018 from 4 p.m. to 8 p.m. MST. Tickets are $30 to $800 and are available at Saving Our Seas From a Mile High. Also consider an End-Of-Year tax deductible donation to Fins Attached.